Certain animals are much clearer communicators than others. Dogs, for example, are highly emotive and it’s generally easy to tell what kind of mood they’re in — from giddy uncontrollable excitement to the classic “look of shame” when they know they’ve been caught in the act doing something they shouldn’t. Cats, however, play their cards a little closer to the chest, communicating in ways that are much more subtle. In fact, sometimes cats are a little too good at hiding what’s going on in their heads, as they are exceptionally good at hiding pain and acting otherwise normal. 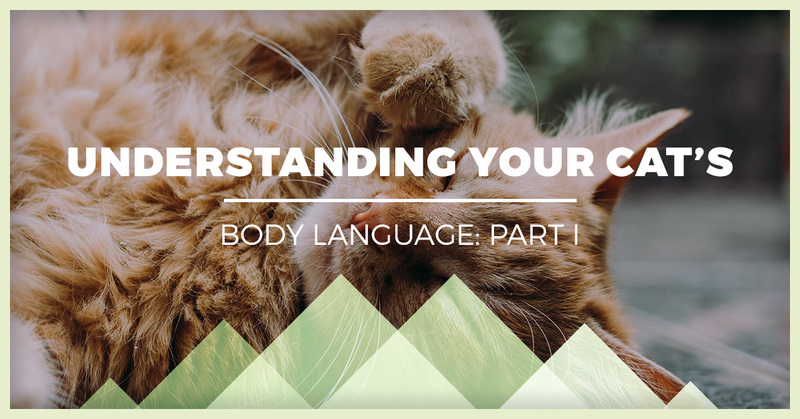 This is why it’s important to understand your cat’s body language. 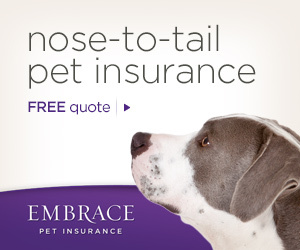 Doing so can help your cat’s long-term health and happiness, and help you to establish a more meaningful bond. Here are some commonly unknown body language quirks that we’ve taught to our clients at Rancho Regional Animal Hospital. This is a two-part blog post. In the first post, we’ll talk about two ways your cat shows affection, and in part-two, we’ll take a look at what their tail is communicating to you. 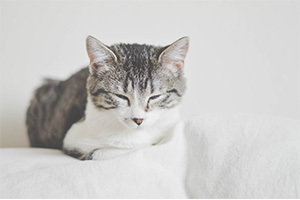 You’ve probably seen your cat, when they’re lounging around, do their signature slow blink. You know the one — the one where they tilt their head weirdly, slowly shut their eyes, and resume as if nothing happened. If anything, it just looks like they’re perpetually sleepy and tired. But did you know that your cat is actually communicating here? In fact, a slow blink is your cat’s way of showing affection and trust. Cats are heavily tuned to their natural biology and instincts, which dictate that closing your eyes in the wild is a good way to get eaten. It’s never good to take your eye off predator or prey, so a slow blink, where the cat puts their guard down, is an ultimate sign of trust. Similar to the slow blink mentioned above, when your cat lies on their back and exposes their tummy, it’s a sign of ultimate trust and submission. However, there’s a caveat here — a cat lying on their back tummy exposed are usually either extremely content and trusting, or highly defensive, and it’s important to understand which is which. A happy cat will roll onto their back and expose their stomach because they feel safe and vulnerable. It’s not hard to tell when a cat is happy and comfy. A grumpy cat, on the other hand, will take the same position, but much more defensively. If their paws are at the ready, and their feet in a position to kick, they’ve probably rolled onto that position because it allows them to use their claws to maximum effect. It’s important to know the difference if you don’t want cuts and scrapes all over your hand. These are two ways that your cat shows supreme affection to you. When you’re around your cat, look for these signs — does she show them? Have you not noticed? Does she never show them at all? If you suspect that your cat is unhappy or unhealthy, we would love to help diagnose the problem at Rancho Regional Animal Hospital in Rancho Cucamonga. Contact us today, and keep reading for part-two of this blog series!